1. I was having problems getting the www.g-ography.com domain name. Even www.gography.com was already taken. I should have planned this a long time ago when I started this blog- but hey, it's a learning process. 2. I felt that G-ography was harder to remember and I predict that the hyphen will cause issues down the road. Moreover, upon reflection Pinay on the move is a better title for my blog. It's more definitive. 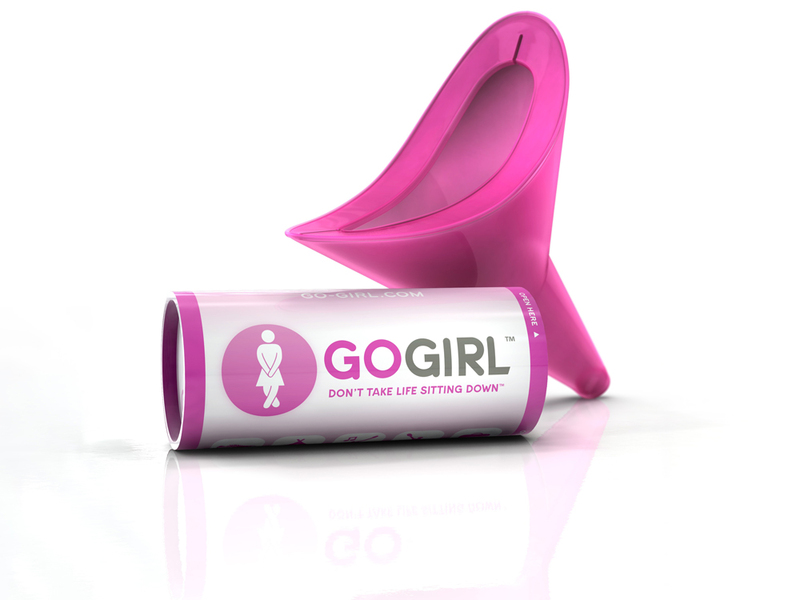 It's an FUD- female urination device! It's made of flexible medical grade silicone which you can throw away after use or clean then reuse. It also has a patented "splash guard" design which prevents mess and spills. You can discreetly read more about it at GoGirl's website. I have to say, I didn't know what to make of this device when I first saw it. Then it got me thinking back to all those times when I was on the road and I needed quick relief but a) I was in the middle of nowhere OR b) the public restroom was just horribly disgusting. Can you keep a secret? I actually went on Amazon.com and added this to my RTW wishlist (FYI, I'm still working on this folks). I'll worry about the mechanics of using and cleaning this device later. I think it's nifty and practical. If you travel or go outdoors a lot this FUD can come in really handy. Plus look, it comes in lavender! I'm kicking off Travel Therapy with a post Happy Hearts day special on my ultimate destinations for yoga and meditation. Chocolates and flowers are sweet and pretty during Valentine's day. But for the day after and the following days to come yoga and meditation is the key to a happy heart. 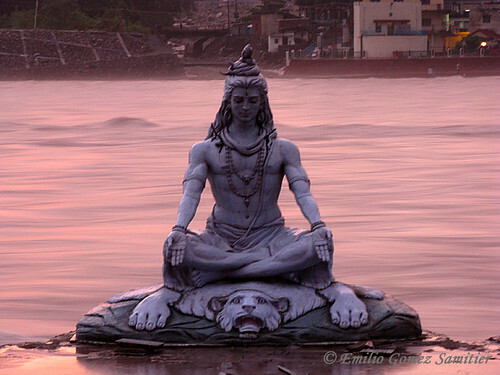 Known as the world capital of yoga, this town is located close to the Himalayas and is next to the Ganges river. [Cool to know: George Harrison had his ashes scattered along this river.] What is important to note is that the Ganges carries an immense cultural and religious meaning for Hindus. For them this body of water is a symbol of life and purity. Of course, one of the most popular thing to do in Rishikesh is to check in to an ashram where you can study yoga, meditation and Hindu philosophy. I discovered the photos below when I was searching for ashrams in India on Flickr (I use Flickr for inspiration on travel destinations). These are real yoginis captured in a very solemn moment. If you're considering an ashram stay, it's worth noting that ashrams tend to have a distinctive rhythm and protocol. For one thing, while some have stricter rules than others, most still have mandatory daily schedules, often requiring you to rise before dawn. If you are fairly new to yoga, a day consisting of four compulsory yoga and meditation sessions could be overwhelming. Also, visitors are often asked to practice karma yoga (selfless service) by contributing to the upkeep of the facility—in the form of kitchen duties, gardening, cleaning, and other chores. In short, you should be comfortable with communal living to fully enjoy and benefit from the ashram experience. A few tips: Most ashrams serve only vegetarian or vegan food; alcohol, caffeine, and tobacco are not permitted. Don't try sneaking in a bottle of Chianti—you'll be asked to leave if the contraband is discovered. Guests typically stay in dormitories with shared bathrooms. Modest dress is usually required at all times; shorts, short skirts, leggings, and sleeveless or sheer tops are not appropriate ashram attire. Instead, pack loose pants and a short-sleeved shirt for your practice. When I was looking at the list, I noticed that some Ashrams were pretty pricey (I think it is because they are part of the Yoga Alliance which allows them to issue teacher certifications valid in the US). I was reading on some of the forums that the smart thing to do is to go canvas around the town until you find one that fits your budget and your purpose. Of course, this only works if you have a lot of time. 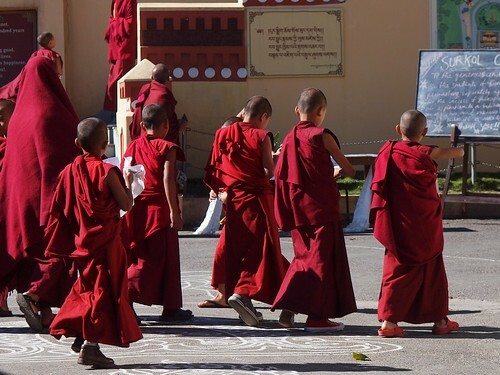 In a Buddhist town which lie in the Kathmandu valley you can find the Kopan Monastery. They offer a one month meditation course at their international center for study and meditation. They also offer other courses which focus on Buddhism (if you are into this). For $420 dollars, you can enroll in their annual meditation course which happens every November. The fee includes dormitory accommodation, all meals, course material and a course administration fee, which covers travel for teachers, course preparation and material, and administration expenses. You can read more about Kopan Monastery's program here. Warning: this is not for the faint of heart. It's not the usual retreat that you are used to where you have all the amenities that you need. I hear that the regime is rigorous and the conditions can sometimes be harsh (cold). Remember, it is a monastery so they have rules which can be very austere especially if you are used to independent hedonistc city living. The bright side is you get to experience a simple and quiet life free of distractions. 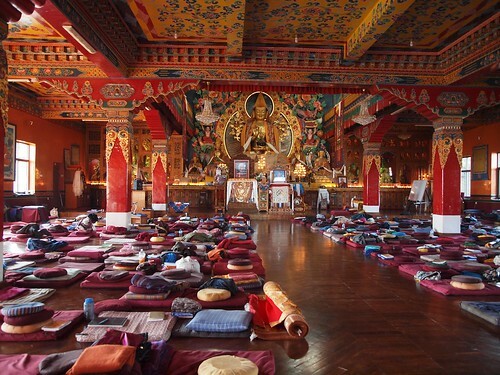 If you think that the month long course is not for you there are shorter courses available at other monasteries. 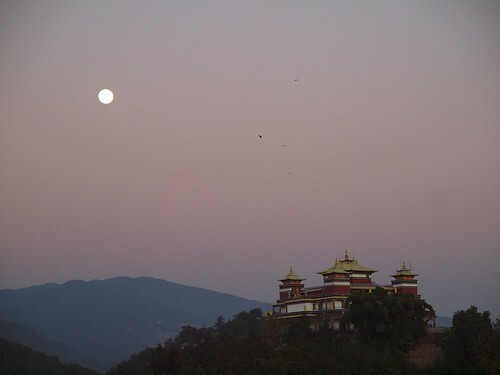 VisitNepal.com has a section called spiritual pursuits which you can check out. I think these two pictures alone should give you an idea why this is on my list. Both were taken at the Taktsang Palphug Monastery or better known as The Tiger's Nest. It is a Himalayan Buddhist sacred site and temple complex located on a cliff side near a cave (No this is not where they filmed Batman Begins). Apparently, this cave is open for public viewing only once a year. You will also require a special permit and a guide to travel to this place. Then after you acquire these you will need to hike on foot or ride on a mule to get up to the monastery (is it just me or is this sounding more like a quest?). The way I think about it the awesome view on top is worth a few hours of pain. 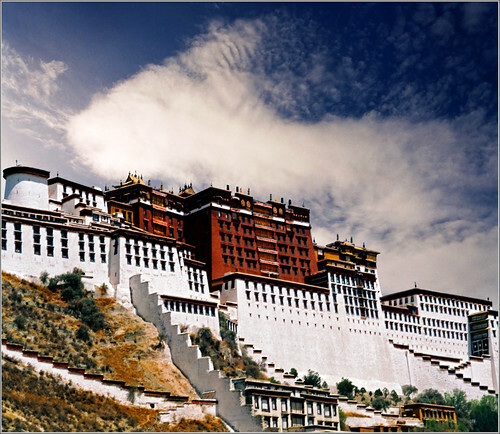 Last but not the least is the mystical and mysterious place in the Himalayas- Tibet. I did not write down a specific place because there are a lot of temples and gompas that you can go to. I think this would be a great choice for the "self-guided traveler" who does not want to be confined in a facility or receive formal instruction (note: individual travel is not allowed in Tibet so trips here have to be arranged through agencies). Sometimes the journey alone provides us with enough inner peace and tranquility. You can use the open roads and breath taking views as tools for deep reflection. If you want to find a list of Tibetan Monasteries Wikipedia has one. G-ography has a new geography. As cliches go: new year, new look. I admit I have not devoted the time and the passion that this blog deserves. But as I go into this new year with very clear goals you are going to see a lot of exciting changes. These changes are part of the original vision I had for G-ography and I am making it happen! Exciting Change #1: LAY-OUT (imagine my hands moving around this blog Vanna White style) Notice that I chose a blogger theme that is more travel oriented. It's still a work in progress and I will continue to play around with the lay out. I am also in the process of figuring out how to add an About page on this blog. Does anyone have any suggestions on how to do this and what to write in it? Exciting Change # 2: CONTENT This is a big one. One of the challenges I face as a blogger is delivering a focused content. I am a person with eclectic interests so a misconception that I had to dispel was that focusing meant sacrificing self-expression. So not true. I now realize that I can still express my eclectic ideas without being all over the place. Travel Therapy: The perfect cure to cubicle blues. This section will feature drool worthy travel destinations and bring you news on interesting things happening in the world of travel. I'll also be documenting any on the road travel that will guarantee to leave you on the edge of your seats (or at least in the vicinity of the edge of your seats). 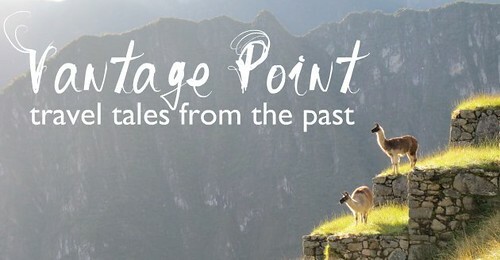 Vantage Point: It's all about being a nostalgic nomad. This section will haunt you with images and stories from my past trips. Part of being a traveler is being a storyteller and our stories seek to bring new perspective. This is the value that a vantage point offers. The F.O.B. Assimilation is the name of the game. As a foreigner abroad, it is important for me adapt to my host nation's culture. It is also very important for me to maintain my own identity as a Filipino. It may sound easy but it is a constant learning experience. This section will feature observations and commentaries on being a Filipina traveling, living and working outside of the Philippines. 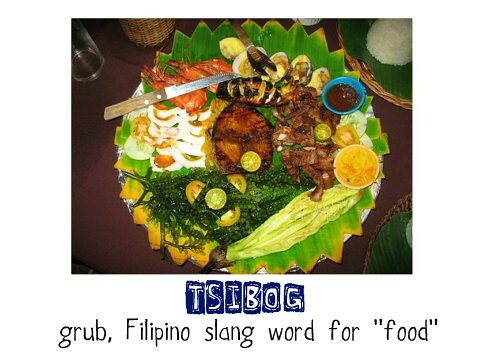 Tsibog: Because food makes the world go round. I'm a foodie and a burgeoning cook so this section is a no-brainer.Watch out for recipes, photos and good eats! TADA!!!! That's it. My trifecta of exciting changes ready for roll-out beginning 02/14/11! You may remember my last NNP post about watercolor painting with local artist John Yato I had my second session last Saturday and I am well on my way to creating my first proper piece of art. It's a beach scene of Point Loma in San Diego. You can take a peek at the photo of my work station below. My "candid shot" by Yato san....hehehe.